BTI’s new research reveals the largest 30 law firms are the most aggressive when it comes to business development. Their goal is to crush you like a bug. No disrespect intended. No slight. Just business. These 30 law firms are virtually the only ones who describe their BD goals as including crushing competitors like bugs—the first to think about taking enough market share to weaken whoever stands in their way. Again—nothing personal—but success demands taking share and clients from other firms. This new uber aggressive behavior by the largest firms marks a shift in strategic thinking. The largest law firms have fully decoupled from the days of professional competitive courtesy to stealing clients. They are the most extreme when it comes to taking out the competition. But they are not alone. Another 36% of law firms are targeting the taking of market share from competitors. While not as aggressive as crushing competitors like bugs, these firms are also embracing the market realities—with only 1.9% growth in corporate counsel spending, you can only grow by taking share and clients from another firm. The competition crushing law firm will be asking new and different questions about adding business. How do we get the business before the client calls us? What can we uncover through the in-depth client discussions we have? How does deep-dive independent client feedback paint a road map of client needs and priorities we can tap into before other law firms even think about these emerging needs? These questions drive you to acquire more business earlier and faster. The law firm looking to steal market share will also ask: How can we set up an ongoing, regular dialogue to ensure our client will always think of us before any other firm? What can we say to clients others simply can’t? The largest firms who are aggressive in crushing the competition. 36% of firms who want to take market share from others. Firms who are about to join one of the first two groups. There are no structural barriers to gaining market share at competitor expense. The gains demand intent, strategy, focus, discipline, the will to move faster than other firms, and action. 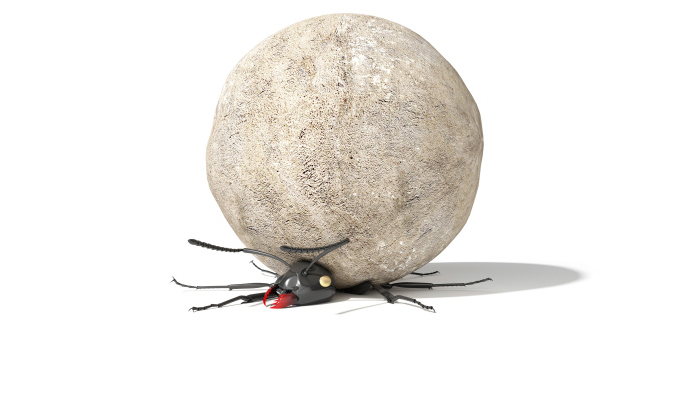 The largest law firms are indiscriminate about which bugs they want to crush. The casualties will be the firms who don’t aggressively protect their flank. Don’t get crushed—force the largest firms to scatter to other places.